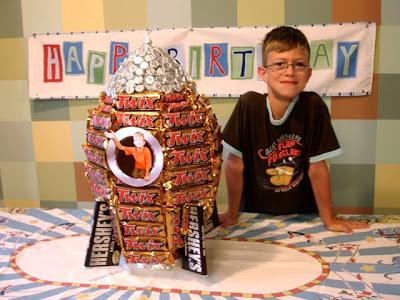 Project Denneler: An 8th Birthday Blastoff! We're in rocketship mode at the Denneler house. 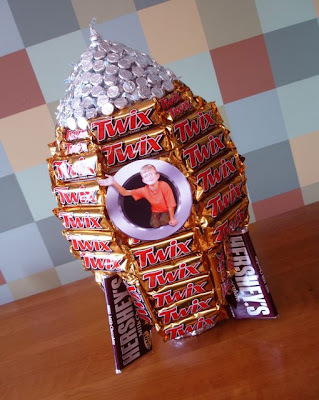 So, it seemed appropriate that Gus' birthday treats to take to summer camp, would come in the shape of a Chocolate Rocket. Every year, I try to make a "cake" that Gus will eat. And this year, it was CHOCOLATE, CHOCOLATE and more CHOCOLATE. Happy 8th Birthday Blastoff, Gus! We love you to the moon & back. "But, I don't even like banana bread."